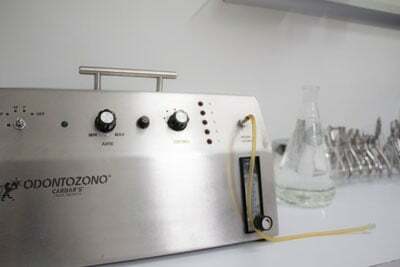 Ozone has been used in medicine since long ago and dentistry is not an exception. It is useful for treating gingivitis, periodontitis, healing after an extraction or dental surgery, root canals and infections. It is an oxygenator, revitalizer and antioxidant. It is available in gas, ozonized olive oil and ozonized water. It is important to know that, in dentistry as well as in medicine, each time that we talk about ozone therapy we are really referring to oxygen-ozone therapy (more than 99.98% is oxygen .02% is ozone) but for practical reasons we refer to it simply as ozone therapy.